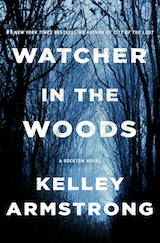 Rockton 4, Watcher in the Woods, is now out! Next up is my last Cainsville novella (Cruel Fate) in April. If you're new to my books and not sure where to start, check out the quiz below. You'll find free sample chapters for all my books inside. Rockton was built as a secret town for people running from their pasts. But now someone has found it, someone who wants one of those residents Detective Casey Butler is supposed to protect. 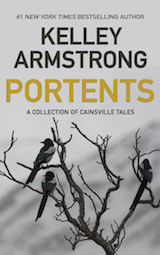 A collection of Cainsville tales. Contains seven short stories and novellas set in the Cainsville universe. Few crimes are reported as quickly as a snatched child. Aubrey knows what she saw. Now she needs to prove it. 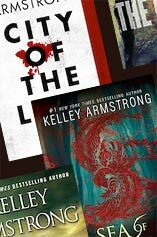 Adult, young adult, fantasy, mystery... Yep, I've written a lot. If you're new to my work, this short quiz will suggest a good place to start. 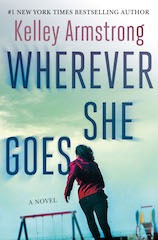 If you've already read some of my work, it may help you figure out what to read next.